An internal email shows that in early 2017, politicians and senior government officials welcomed new Global Transportation Hub investor Mike Niu to the Saskatchewan legislature. In February, politicians and bureaucrats welcomed Brightenview founder and investor Mike Niu to the legislature. 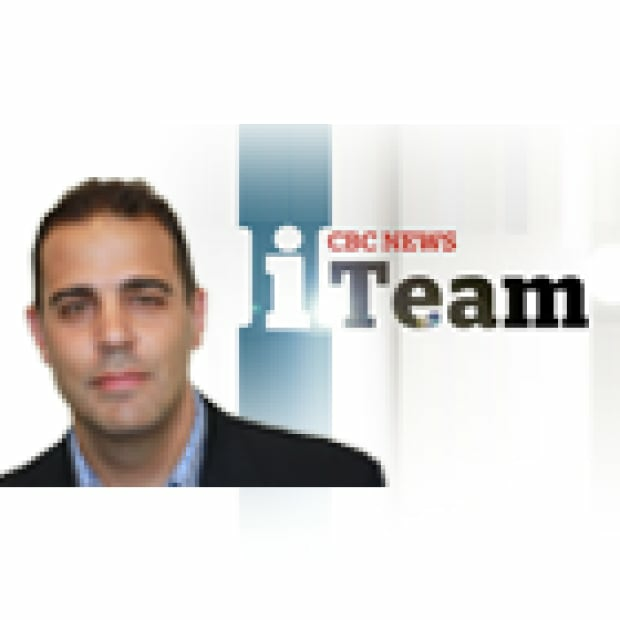 A CBC investigation found Niu had been wanted by China for fraud. 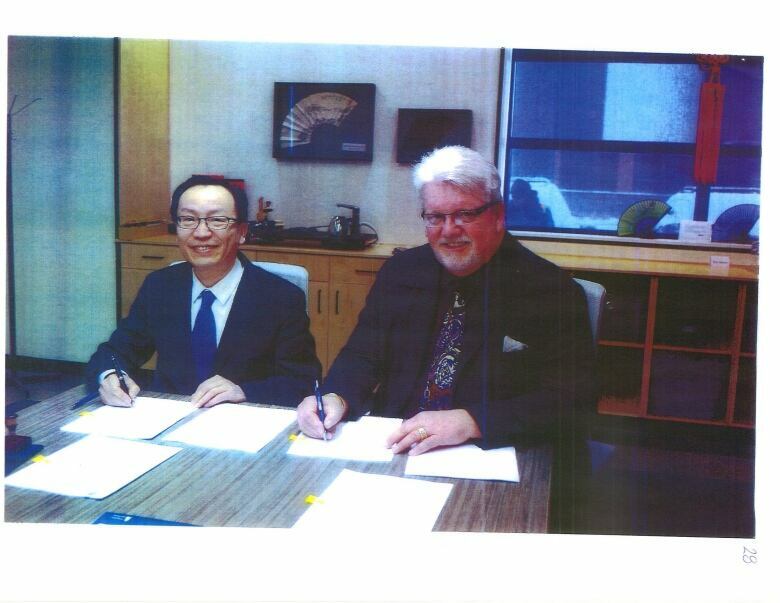 On Feb. 8, the CEO of the GTH wrote to politicians and bureaucrats saying "thank you again to all who participated in the introduction to Mike Niu and officials of Brightenview last week at the legislature." The email was sent to then-minister of the economy Jeremy Harrison, then-deputy minister to the premier, Alanna Koch, and Laurie Pushor, who continues to serve as deputy minister of the economy, among others. On Feb. 8, GTH CEO Bryan Richards thanked the participants in a recent meeting with Mike Niu. That is part of a series of emails obtained through access to information that reveal a government campaign aimed at showing enthusiasm for Brightenview's plans and a willingness to tweak government policy at Niu's request. Niu is a founding director of Brightenview Development International, which is building a Chinese megamall at the GTH in partnership with the government. According to internal government emails, he is also a key Brightenview investor. In May, Niu was the subject of a CBC investigation, which found that he and his partner, Jessie Zhan, had been suspected of loan fraud by the Chinese government. The couple has also been active in the Canmax group of companies, which has been sanctioned by the Saskatchewan government for offering fake jobs to would-be immigrants. Canmax has also been sued multiple times by Chinese nationals who say the company took large deposits promising immigration to Canada, but failed to deliver. Neither of them have responded to CBC's requests for interviews. 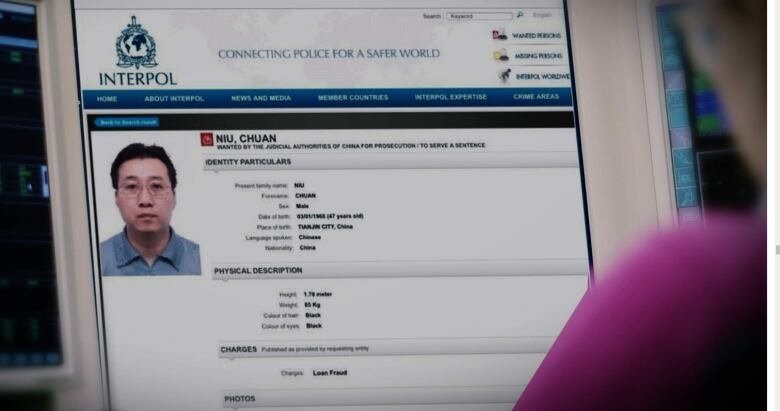 CBC discovered that Niu had been listed on Interpol's website. 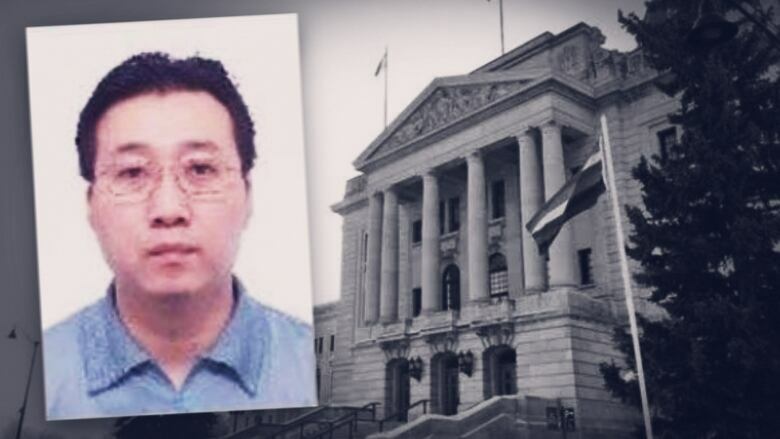 It said China wanted him for alleged loan fraud. When CBC broke the story about the couple earlier this year, Brightenview CEO Joe Zhou wrote "these two are not associated with Brightenview." Zhou also pointed out that Niu was no longer a director with the company. Despite that, last spring several employees of a Brightenview subsidiary in Vancouver told CBC Niu was currently the boss. The February event was just the latest in a series of meetings that were designed to strengthen the government's relationship with Niu and Brightenview — a relationship that dates back to 2013. 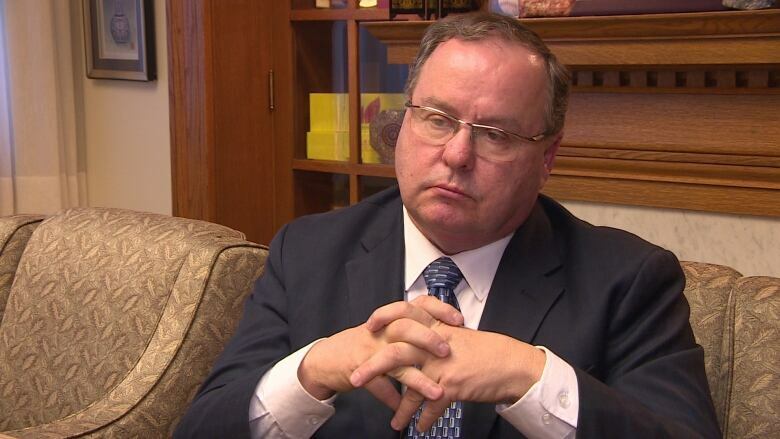 Bryan Richards, CEO of the GTH, explained his Brightenview strategy to then-minister of the economy Bill Boyd and Pushor in a December 2015 email. "In very standard Chinese business culture, they need reassurance of senior government officials that the projects, investors and clients are welcomed," wrote Richards. This event at the legislature was held just days before the GTH publicly announced it had concluded a land sale agreement with Brightenview. The sale would eventually lead to the construction of the Global Trade and Exhibition Centre (GTEC), a wholesale megamall marketed to Chinese entrepreneurs seeking permanent residence in Canada. The Saskatchewan government says it is a partner in this project and has pledged that it "will continue to support this project in every stage of its development and operation." In 2014, the GTH's vice-president of business development Rhonda Ekstrom took a trip to China with Brightenview officials. The trip plan says she will be "meeting with government officials and private industry interested in participating in the proposed Global Development manufacturing facility contemplated at the GTH." In early 2015, Richards scheduled a meeting between Niu and Boyd to address issues related to immigration. Niu's proposed megamall project at the GTH would be dependent on the entrepreneurial category of the Saskatchewan Immigrant Nominee Program (SINP), which had just been revamped. Niu was expecting the program to launch in mid-February, but there had been a delay. In an email to Boyd, Richards said "this delay has the Brightenview investor again very concerned, with I quote, potential 'destructive results.'" Richards wanted to find a way to ensure Niu the revamped program was coming soon. He suggested that perhaps officials could update the website "to state that the 'final elements of the new program are just being finalized and the website will be open for applications by such and such date?'" Emails show one of the issues raised by Brightenview in an April 2015 meeting with the GTH, was whether the GTH would be considered rural or urban for the purposes of immigration. The hub is technically in Regina city limits. But if it was deemed rural, potential immigrant investors would realize significant benefits. Immigrants who start up rural businesses don't have to hire Canadians, get extra points toward their immigration application and are required to invest less money. On April 9, immigration officials concluded "any business located on GTH property and within the GTH municipal area would be considered 'rural' businesses." Ekstrom forwarded that email to Brightenview and said "this is excellent news!" In late December 2015, a deal was finally coming together. Richards invited Boyd and Pushor to a meeting with Niu and other Brightenview officials, and proper protocol was very much on his mind. "The tone of the meeting will be as critical as the content," he told them, describing this Dec. 18 meeting as of "great importance." "This will be our final opportunity to impress upon the key investor the desire and the support of the province as the destination of choice for the collection of projects," Richards wrote. It's unclear what that "collection of projects" might be as government officials redacted the list of projects Richards referred to, with the exception of the Global Trade and Exhibition Centre, which Brightenview is now constructing at the GTH. In his email, Richards also included a list of key messages that he wanted all the participants on the government side to promote in the meeting. Those messages have also been blacked out. Richards said the key to this meeting was to communicate that Niu's investment was welcome. "In very standard Chinese business culture, they need reassurance of senior government officials that the projects, investors and clients are welcomed," Richards said. By early February, Boyd's chief of staff had drafted a letter indicating the GTH was going to take the lead in working with Brightenview on its projects and confirming the investment is welcome. The Feb. 2 letter, written to Richards from Boyd, says "please engage the relevant resources within government and any necessary external agencies to assist as necessary." The chief of staff asked Richards "will this be satisfactory?" and he replied "I think so." The next day, Brightenview was at the GTH offices signing an agreement to purchase 30 acres of land at the GTH for $256,000 an acre, a $7.6 million commitment. The deal with Brightenview was signed the same day that CBC broke the GTH land deal story. That's the story of how two well-connected businessmen made millions on 203 acres of land that wound up in the hands of the GTH. Key to the controversy, was the fact that the GTH paid $103,000 an acre for the land, while government appraisals said it was worth far less. The Brightenview deal was publicly announced about a month later, in early March, on the eve of the provincial election campaign. Initially the GTH news release only referenced the total cost of the land. But an email reveals that, in response to a request from the Premier's Office and Boyd's office, the GTH included the $256,000 an acre price prominently. "Here is the revised news release reflecting … the per acre number that MO/EC wanted," wrote a GTH official. The government of Saskatchewan got involved in promoting Brightenview's GTH project at the highest levels. Brightenview's GTEC project was to be a wholesale mall that would house hundreds of Chinese entrepreneurs selling their products into the North American market; everything from home improvement products to consumer electronics. Core to that plan, was convincing those business people from China to immigrate to Saskatchewan through the entrepreneurial category of the Saskatchewan immigrant nominee program. In the fall of 2016, a high-level delegation, including the premier himself, attended an event promoting the GTH — and Brightenview's project was front and centre. The premier spoke of the benefits of the GTH and Ekstrom spoke glowingly about the benefits of the GTEC project, describing it as an "excellent business model" that combines the strength of the GTH with a powerful business platform that reduces risk of doing business in North America." While the promotions were going full tilt, there was still some question as to whether the project would happen at all. 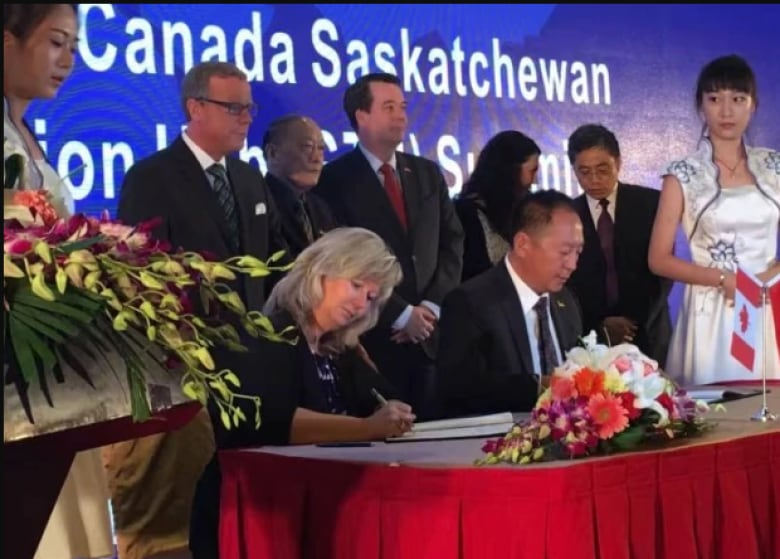 Premier Brad Wall looks on as the GTH's Rhonda Ekstrom signs an agreement at an event in China promoting the GTH and the GTEC project. While Brightenview had agreed in principle to buy the GTH land, it still hadn't taken title in early 2017. On Jan. 17, he wrote to Pushor to let him know that Niu wasn't happy with some aspects of the province's immigration program. "The most critical part for me is to be able to respond to Mike Niu before the land closing on Jan 27th," Richards wrote. "I/we need to get back with some info to ease their on going minds regarding their investments with this program, such a visible and critical part of the program." Richards explained that "many of the GTH opportunities require the SINP program to allow investors to relocate to the province," and it was critical that Niu have confidence in it. Applicants to the entrepreneurial category of the SINP are chosen based on the number of points they have achieved. Points are based on a variety of qualifications, from English language ability, to net worth to previous experience. At a recent draw, only people who scored 120 points or higher were chosen; in that case just 14 individuals. The company was also concerned the government may be setting the bar too high for new would-be immigrants. Richards wrote "the perception of 'program inconsistency' with this...has them questioning the reliability of the program to meet their needs on an ongoing basis." Richards was assured the high score was an anomaly. The most recent score required, in the Oct. 31 draw was just 80 points. In that draw, 265 applicants were chosen, which is the highest number chosen since the revamped program was launched. And construction at the megamall project at the GTH is progressing. If you have any tips related to this story please contact the author, Geoff Leo, at geoff.leo@cbc.ca or 306-533-0906.